Lenders call the ratio of a loan to the value of the home purchased the loan-to-value ratio (LTV ratio). This term is usually used by building societies and banks to show the ratio of the first mortgage line as a proportion of the total value of a piece of real estate. If you are trying to obtain a loan so that you can buy a home, the Boston real estate attorneys at Pulgini & Norton can advise you on various underwriting issues like the loan-to-value ratio. The LTV ratio is a crucial aspect of mortgage underwriting when you are buying a piece of residential real estate or refinancing. A lender will assess this ratio to determine the level of exposed risk that they should assume when underwriting a mortgage. To calculate the LTV ratio, you will need to divide the mortgage lien by the appraised value of the property and express it as a percentage. For example, if you borrow $200,000 to buy a home that has been appraised at $300,000, you will have an LTV ratio of 66.67%. 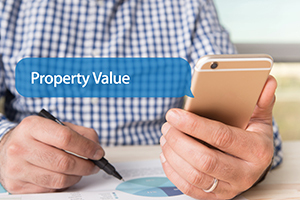 If you ask for a loan that is near the appraised value of the property, there is a higher LTV. This means that there is a greater chance of your defaulting because the property has very little equity built up in it. A lender assumes then that if you default, and the lender needs to foreclose, it might find it challenging to recover the amount necessary to cover the outstanding mortgage balance in order to make a profit from the loan. Accordingly, the LTV ratio will play a role in how much borrowing money will cost you. There are other factors, but generally you will receive the lowest interest rate possible if the LTV ratio is at or below 80%. If your ratio is higher, that does not necessarily mean that you will not be approved, but the total cost of the loan may go up. For example, you might be approved for a mortgage with an LTV of 90%, but you may receive a higher interest rate than you would for a lower LTV. The lender may also require that you purchase mortgage insurance. Mortgage insurance may make your monthly payment higher, and you may need to keep paying it until you reach a certain LTV ratio and build up sufficient equity. Sometimes homeowners go underwater, which means that they owe more on their mortgage than what the home is worth. For example, if you owe $300,000 on a property worth $250,000, your LTV is 120%. In these situations, you may need to obtain a loan modification or refinance your mortgage. There have been changes to the Massachusetts HARP program. One of these is the removal of the limit on the amount that a homeowner may be underwater to qualify. Assuming that you meet the pertinent criteria, you may have an LTV ratio greater than 125% and qualify for a new refinance in this program. Whether you are taking out a new loan or planning to refinance, Pulgini & Norton can advise you on the loan-to-value ratio and other factors that may go into your next steps. Our Boston real estate lawyers also represent clients in Lowell, Somerville, and New Bedford, among other Massachusetts communities. Call us at 781-843-2200 or contact us through our online form for an appointment with a mortgage attorney.